Does it matter having low levels of circulating vitamin D during winter months? What are the solutions if moving to warmer climates during the winter is (unfortunately) not feasible? What are the other hormones interact with vitamin D? 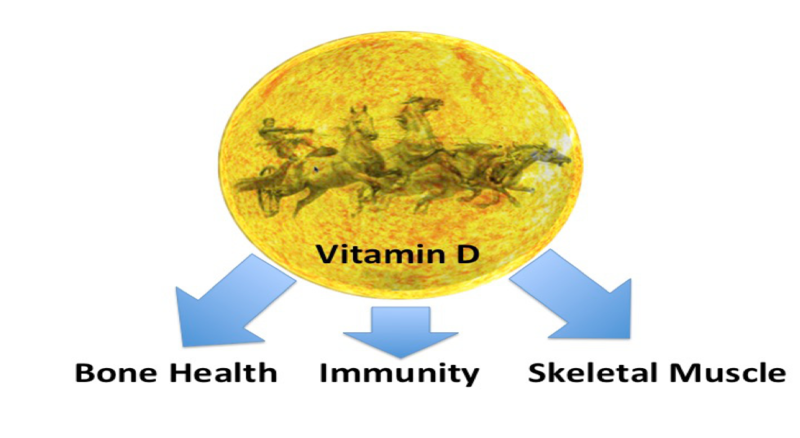 What are the beneficial effects of vitamin D, particularly in the athletic population? No hormone can be considered in isolation. This is true for the network interaction effects between the steroid hormones vitamin D and oestrogen. In a study of professional dancers, there was found to be significant differences in serum vitamin D concentrations in dancers from winter to summer and associated reciprocal relationship with parathyroid hormone (PTH). In situations of vitamin D deficiency this can invoke secondary hypothyroidism. Although low levels of vitamin D were observed in the dancers, this was not a level to produce this condition. However, there was an increase in soft tissue injury during the winter months that could, in part, be linked to low vitamin D levels impacting muscle strength.